Let’s face it, humans are down for any excuse to take a photo of themselves. 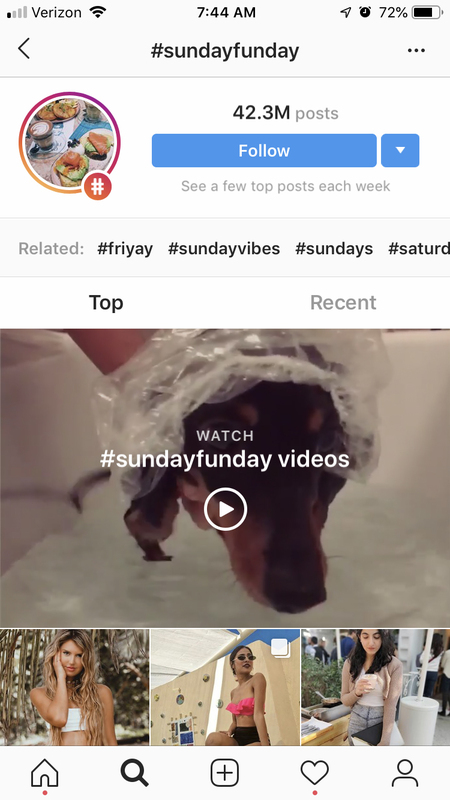 Whether it’s a filtered photo of a couple on vacation or the blatant thirst for likes that is the selfie, Instagram is the ideal platform to participate in this embarrassing — albeit ubiquitous — behavior. Of course, you don’t have to take selfies — food, latte art, and cats are also acceptable subjects. 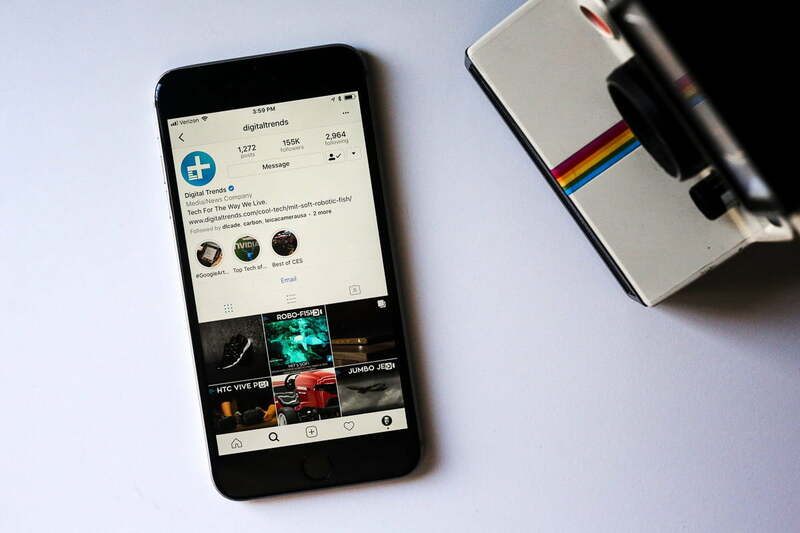 Whatever you shoot, Instagram hashtags can help draw more followers and increase the chances of that next, endorphin-releasing like, and sticking a strict regimen of popular daily hashtags will keep you on your toes and ensure your posts stay current in your followers’ feeds. Except for the rare occasions in which a government holiday starts off the workweek, most people dread the very sound of “Monday.” Mondays are a real bummer and #MondayBlues is the perfect hashtag to express our true grief and utter dismay. As of the time of this writing, there are more than 2.2 million posts on Instagram with the tag, so get to snapping those cubicle selfies and mundane panoramas of rush-hour traffic. If you prefer a more optimistic approach to your Instagram posts, you can go ahead and use #MondayMotivation, with more than 13 million posts, or #MotivationMonday, and overlay your favorite quote on a Tahitian sunset. Sometimes that motivation can even come in the form of music. If that’s the case, you can kill two hashtags at once by including #MusicMonday with a photo of your favorite album. That said, #ManCrushMonday is also one of the more popular hashtags on the internet. Individuals take to Instagram on Mondays to post everything from their favorite shots of Bieber and Gosling to photos of themselves or their male dogs. 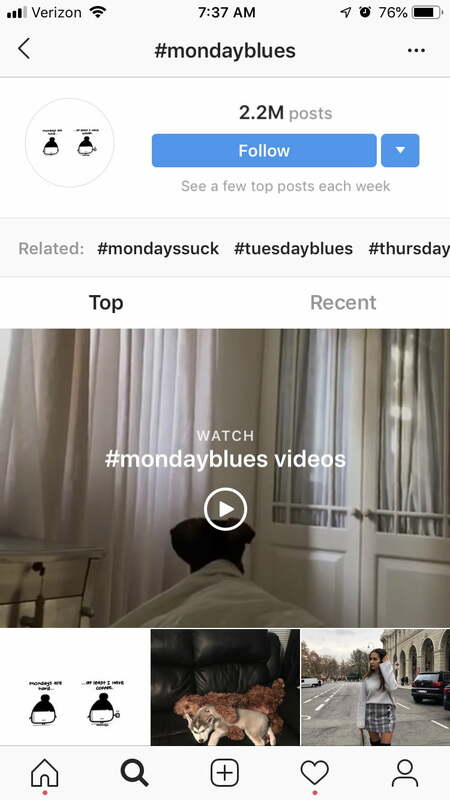 Other popular hashtags include #manicmonday, or, if a case of the Mondays is sapping all your creativity, simply #Monday, which has more than 39.9 million posts. If you prefer to go the more positive, inspirational route, check out #TransformationTuesday, which lets you see the progress of people working toward their fitness goals. Loaded with before-and-after photos, this one will help keep you inspired to keep moving forward — or, at least inspire you to invest in some photographic lighting and improve your portrait taking skills. By the second day of the week, you’re probably thinking of being anywhere else but where you are. Perhaps that’s why more than 250,000 posts have tagged their photos with #TravelTuesday, which elicits a feeling of wanderlust and a desire for locales that reside far from your cubicle. Do you have a favorite piece of tech? If so, share your best shot of the gadget alongside the #TechTuesday hashtag. While you’re at it, why not ask a tech-related question and throw it in #TipTuesday. After all, we all have little tidbits of information to share with our followers. 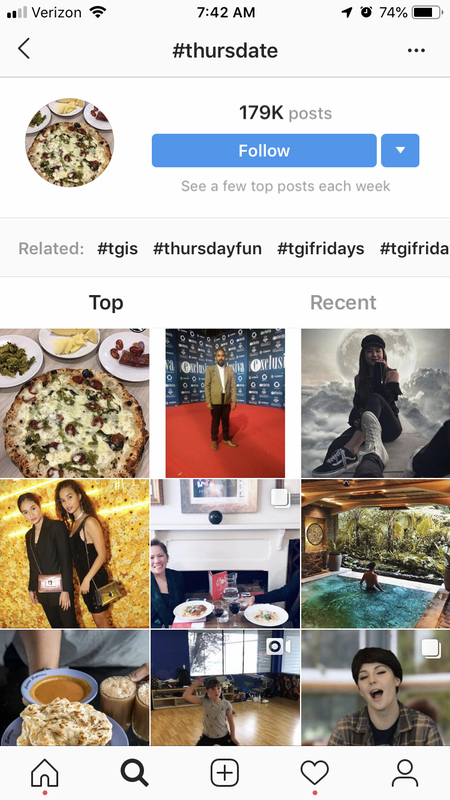 More than 181,000 Instagrammers have also used #TakeMeBackTuesday, which lets us seek solace in our mutual pining for the days of yore, and #TuesdayBoozeday, which goes to show that partying isn’t reserved exclusively for the weekends. Other tap hashtags for the second day of the work week include #tuesdaythoughts and #tuesdaymotivation. At last, it’s Wednesday, which means we’re that much closer to the weekend. Now that we’ve reached the mountaintop, it’s all downhill from here, and #HumpDay is usually a fairly optimistic hashtag for Instagrammers who’d like to express their sheer jubilation at making it through the first half of the week. Like #ManCrushMonday, #WomenCrushWednesday is also an exceedingly popular hashtag that allows you to pronounce your digital love for all the world to see. 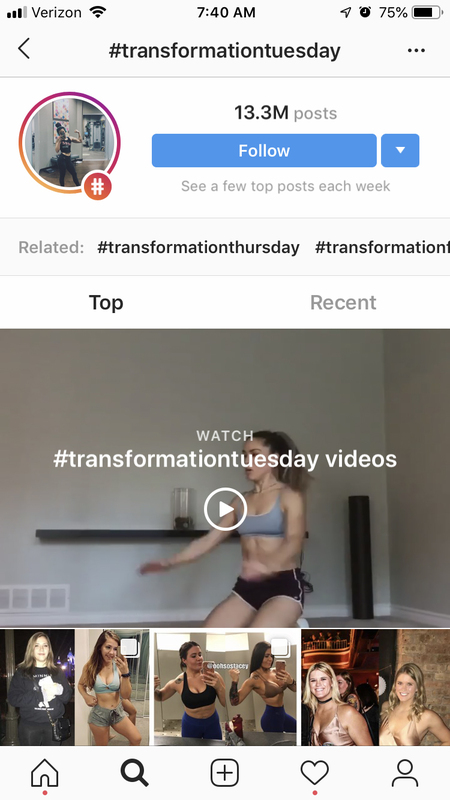 A workout isn’t the first thing on our agenda for Wednesday, but it seems that’s not the case for the rest of Instagram — there are currently more than 659,000 posts tagged with #WorkoutWednesday to date. And even if a full workout isn’t on your schedule, your mid-day vinyasa session would probably qualify you for #WellnessWednesday. Another hashtag, #WednesdayWisdom takes a cue from #TipTuesday, allowing you to drop a little insight on your followers when need be. Millennials are one of the largest age groups on Instagram, and seeing as they’ve consumed nearly half of all the wine in the United States in 2015, it’s really not surprising to see the number of people participating in #WineWednesday. 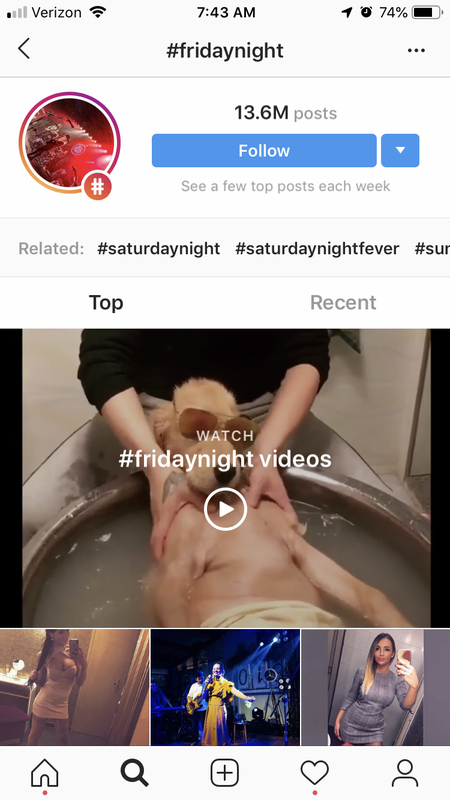 Using the hashtag is pretty straightforward, too, considering you merely need to a consume vast quantity of wine and depict the debauchery on Instagram for the world to see. The apt-titled #WayBackWednesday is another semantic manner of tackling #ThrowbackThursday a day in advance, or #TakeMeBackTuesday a day late, because just having one day dedicated to a trip down memory lane is apparently not enough. 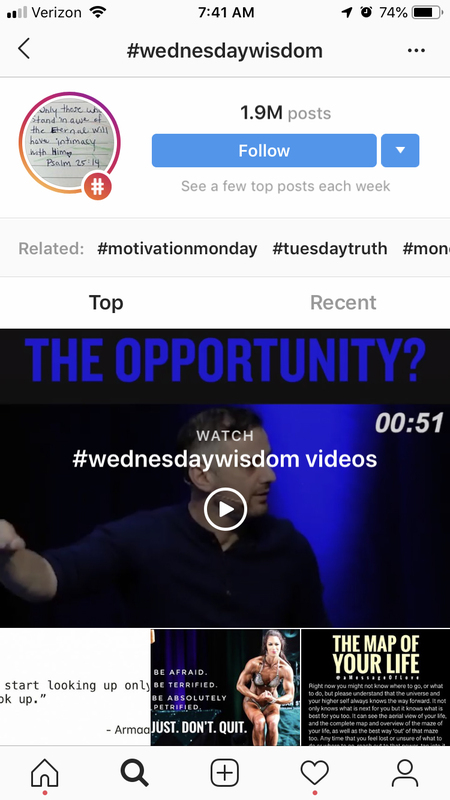 Or, just throw on a black and white filter and call it #wednesday_bw, which has more than 10.8 million posts. Thursday has always been and will (likely) always be dominated by the preeminent hashtag, #ThrowbackThursday. With it, individuals reminisce about the past, and post photos of previous vacations, friends who’ve come and gone, and embarrassing moments from yesteryear. It’s fairly no holds barred, and there’s plenty of wiggle room for individuals given anything in your camera roll is technically a #throwback. You can also show a little love for the things in life you’re appreciative of using #ThankfulThursday, regardless of how far away you are from Thanksgiving Day. And if you’re feeling introspective with the weekend being just a day away, it might be wise to share your mental meanderings using the #ThursdayThoughts hashtag, which currently amounts to more than 773,000 posts. If you don’t feel like perpetually inundating your followers with throwbacks, however, there are plenty of other hashtags to choose from. #ThirstyThursday is an Instagram favorite, as is #Thursdate, the latter of which sees couples documenting their romantic evenings together in an effort to at least air the pretense of monogamous bliss. Fashion fans can try #Thursdayboots, with more than 14,000 posts, or even #Thursdaythrowpillows for an odd slice of home fashion. While out on the town Friday night, you can also tag your evening outfit with #FashionFriday. Later, you can share your #FeelGoodFriday photo once you’re a few beers into the evening. Don’t get too wild though, because there’s no such thing as #SicknessSaturday if Friday’s shenanigans gets too rowdy. 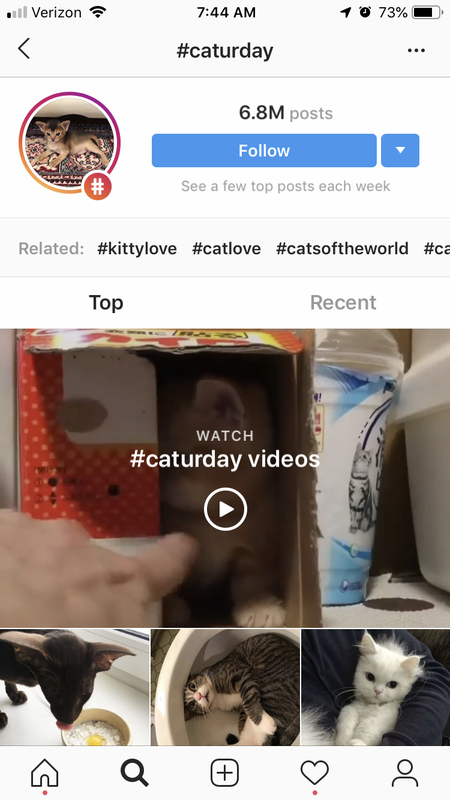 Although #FollowFriday isn’t as popular on Instagram as it is on Twitter, it’s still a wonderful tag to add when you share your favorite Instagram profiles. If you don’t feel like going out and partying, you can also utilize #FridayReads to highlight your latest literary digs. More old photos? The #FlashbackFriday hashtag is probably your last chance, though , who knows, you could always take a #SaturdaySojourn to yesteryear. If there’s one thing humans love, it’s using living things as accessories in their own digital universes of self-obsession. Thankfully, #Caturday (originated on 4chan, but exploded on Instagram) has you covered. There’s also #SaturdaySwag and #SaturdayShenanigans, both of which can be used to document an entire day of shopping, partying, or doing nothing in particular. In case you missed showing a friend some love in the chaos that was Friday night, #ShoutoutSaturday is here to save the day. The tag has been used around 45,600 times. Other popular hashtags for the first day of the weekend include #saturdayvibes, #saturdaynight, and #saturdaystyle. The weekend is virtually over, but never fret, there are still plenty of hashtags to make this day worth living. There’s the all-encompassing #SundayFunday, for example. For individuals who haven’t already bombarded their feeds, consider this day #SelfieSunday. Go ahead and duck face your heart out. If you’re spending the last day of the weekend being active instead of bumming out, try #sundayrunday. Live it up! The #MondayBlues are right around the corner.